The location of a building is one of the factors that will have the greatest impact upon its design. The existing conditions, local history, culture and climate will all impact by providing cues and boundaries in the design process thereby playing a large part in decisions on orientation, scale, form and materials. Once complete the building then has an impact of its own upon the surroundings as part of an ongoing relationship. Is it complimentary or intrusive, sympathetic with or in contrast to its neighbours, has it improved the situation? How photographs can show this relationship is something I have been thinking about recently and I have a dedicated section on my website to showing buildings in context. Within these images several key themes emerge which can be considered when photographing architecture. The Jerwood Gallery Hastings is a lovely building for many reasons, but I think a major factor is how sympathetic it is with its surroundings. Its location is an area called ‘The Stade’ which is a launch/landing area for fishing boats, simple huts and ‘Net Shops’ (tall black wooden sheds) are the local vernacular and illustrate how to make best use of limited space. 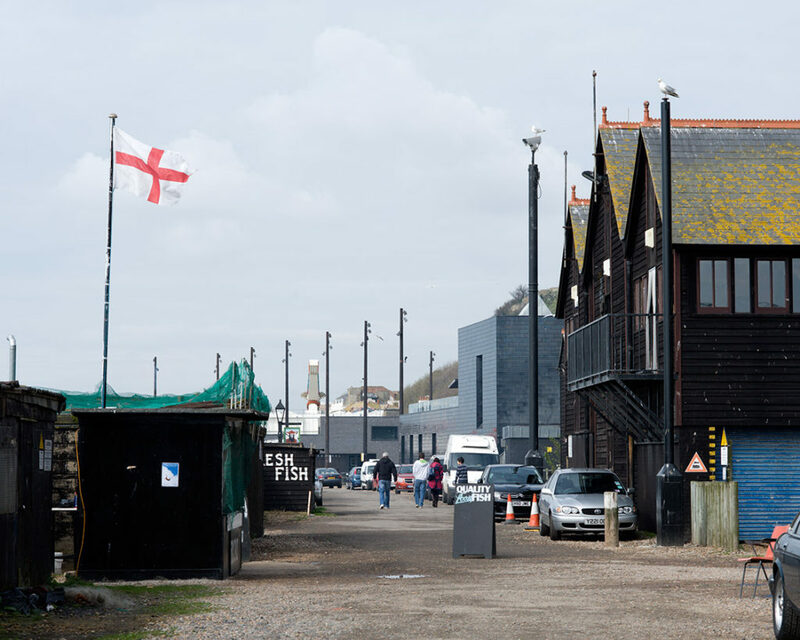 In terms of ‘use’ this is a building that is out of place, an art gallery amongst fishing huts (congratulations to HAT Projects for taking this on let alone succeeding!) 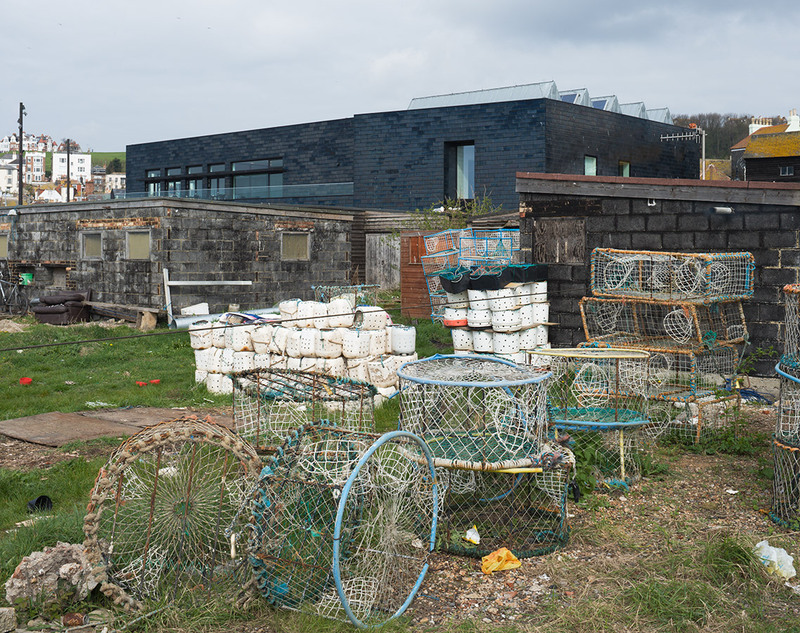 So the fact that the building sits quietly amongst its humble neighbours shows sensitivity to activity – fishing – an activity that has been taking place on the site for hundreds of years. The new building honours and respects this through its scale, form and materials (the black ceramic tiles are especially good) and the best ‘views’ are those looking out from the galleries towards the surroundings, not those looking back towards the building. Swindon Triangle is described by architects Glenn Howells as ‘a contemporary and sustainable re-interpretation of Swindon’s 19th century railway town vernacular’. There is a wonderful ordinariness to it, simple well designed housing for people to live in. 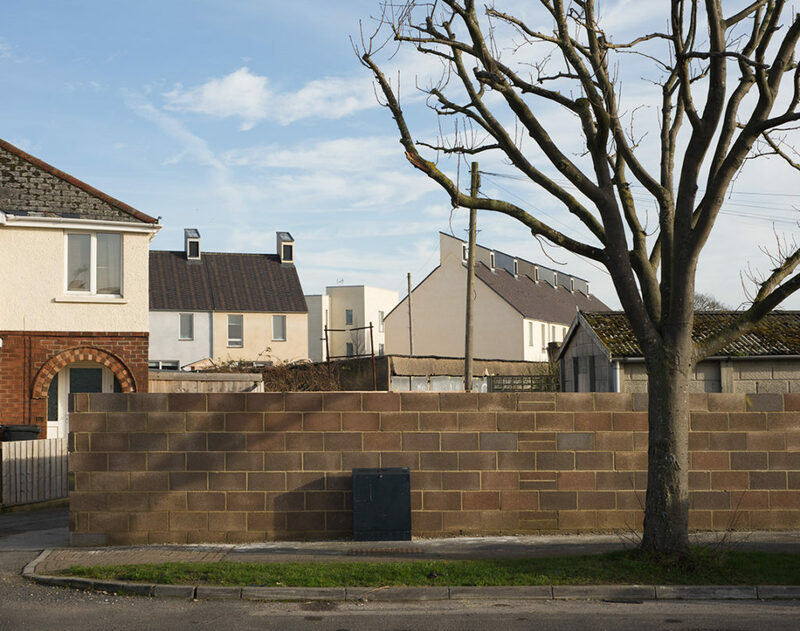 The site is set up to encourage a sense of community amongst the residents, but it is the views from outside that show the integration with the existing houses in terms of scale, roof form and particularly colour. Ordinary housing requires ordinary everyday viewpoints. At first glance these might suggest that the project is not shown clearly, but actually they can clearly show a fundamental design element. How much (or how little) of a building needs to be in the photograph? In the case of ‘Signal Box’ in Basel by Herzog & de Meuron I had a go at ‘how little’. By focusing on the surroundings as much as/more than the building itself it is possible to illustrate what the building is for (operating train signals), why the building looks like it does (functional/industrial location), form and material choices (taking cues from the railway lines) and scale (elevated viewpoint across lines). Another signal box (no.4) is also visible in the distance showing that this is not a stand alone building, but one of two or one of many. 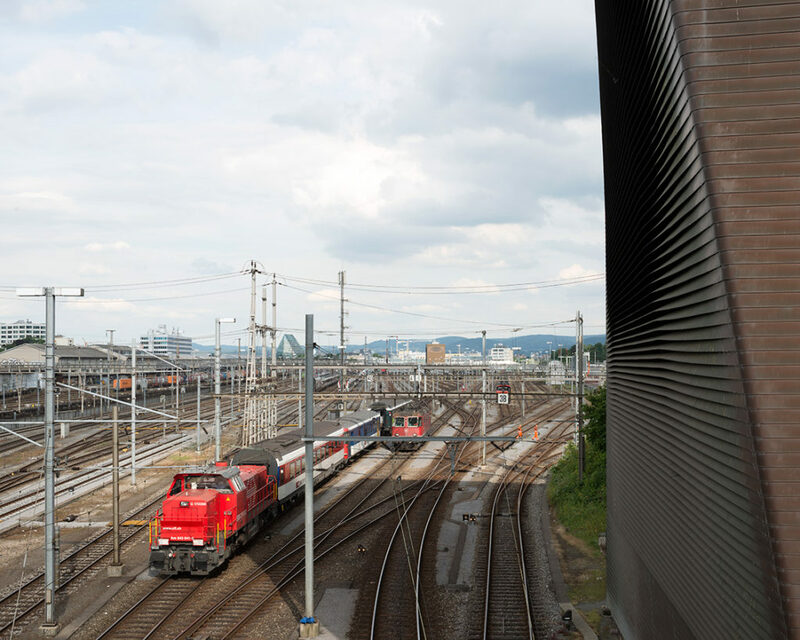 Indeed the architect explains that ‘now completed, Signal Box 4 has been so well optimized that it has become a prototype that can be erected, like a standardized structure, in all the urban regions of Switzerland. The use of such a similar structure throughout Switzerland would dovetail with a vision of the country as one single urban landscape.’ So showing less of the building can indeed show more (about it). How can light show context? I often consider light, or the question ‘what is appropriate light’ for photographing a project (which is another post in itself) and the following images make this point very simply. They include one project that compliments its surroundings and one that stands out by contrast. Hepworth Wakefield by David Chipperfield Architects is located in an industrial waterfront area and references surrounding warehouse style concrete buildings. Flat uniform light shows subject and surroundings in the same light and helps to show both together rather than separately. I deliberately chose to visit on an overcast day both to illustrate this point and the fact that being in Wakefield in the North of England this weather would be a more typical example of place. Central St Giles in London by Renzo Piano Building Workshop on the other hand stands out from its surroundings by using a vibrant series of colours on the facades, not very London I’m sure you will agree! Although the architect’s website states that this ‘fits well with its urban context’ by responding to its surroundings it seems to me to ‘contrast well with its urban context’, a point that was emphasised by dramatic sunlight in the above image. By waiting for just the right moment when sunlight was falling on the orange facade and not on the foreground or adjacent buildings it was possible to show how much of a shock (be it good or bad) the use of colour in central London architecture can bring. A building does not exist without its surroundings, so can a set of project photographs be a fair representation without showing them? My aim is to respond to the external factors that impact upon the building so rather than look outstanding they can appear in context.